Today Netflix announced that Marvel's Iron Fist Season 2 will debut globally on September 7th at 12am PT. Season 2 furthers the transformation of Danny​, a character with a fish out of water coming of age story making his way in a harsh new world, battling to work out who he is. This season, Dann​y​ has promised that with Matt Murdock gone, he will step up and protect his city. ​But a sinister plot twist threatens his very identity ​and he must conquer​ his villains to protect the town and people he holds close to his heart. 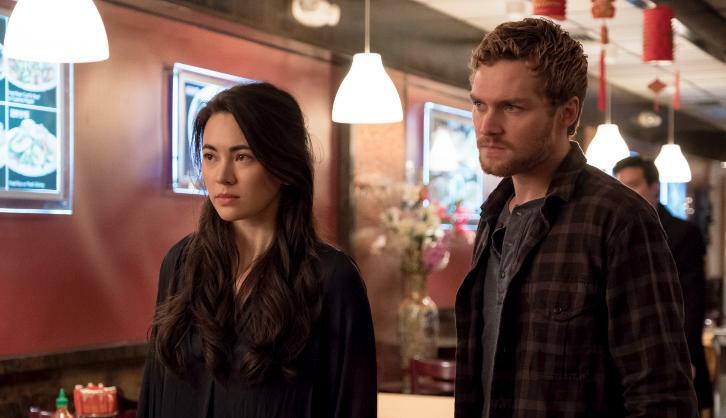 Marvel’s Iron Fist Season 2 is produced for Netflix by Marvel Television and ABC Studios. Netflix is putting out its first bit of promotional material for the upcoming second season of Iron Fist. A new logo teaser was shared on Twitter today and per the SDCC artwork below, the Marvel drama is set to return in 2018 (expect a teaser trailer and/or premiere date at the Comic-Con Panel). A return date for Daredevil has still not been teased/announced. This teaser hints at Steel Serpent (Davos' character) which started moving into motion at the close of Season 1.